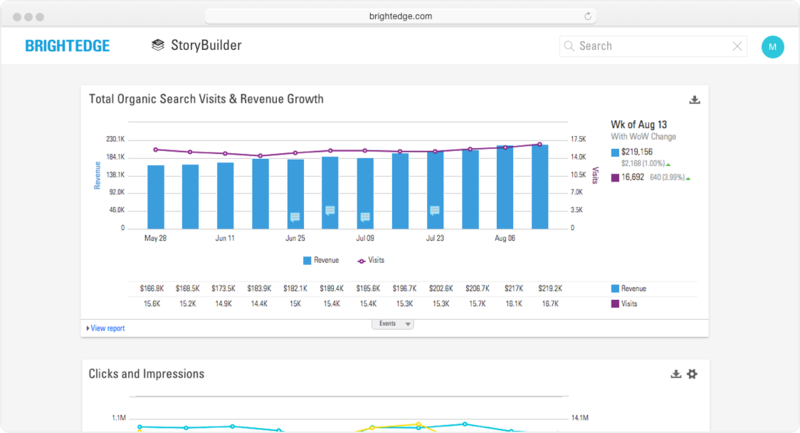 StoryBuilder is mission control for digital marketers. With robust and flexible visualization capabilities, StoryBuilder can help you make data-driven decisions and elevate the role of the website. Use executive dashboards to showcase the positive impact on brand equity and revenue from website optimization efforts. Build convincing business cases for additional resources. 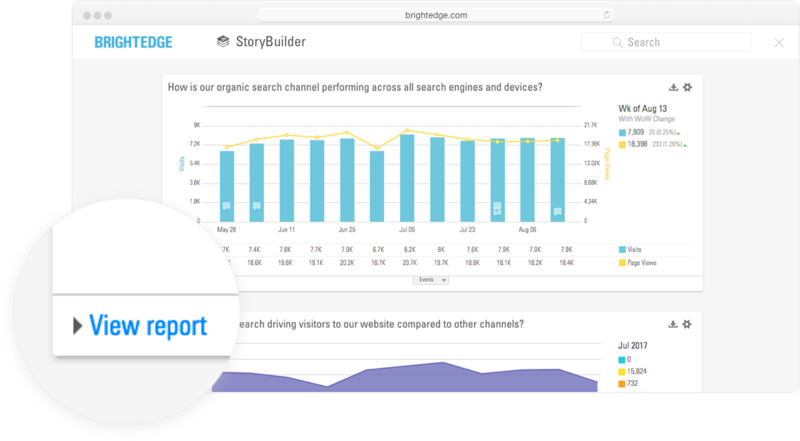 StoryBuilder blends search engine, web analytics, and proprietary BrightEdge data to help you correlate the exact insights you need. Show how your content aligns with customers’ search intent, drives business outcome, and impacts brand equity. Use one-click templates to quickly build dashboards for program performance, buyer’s journey, competitive landscape, and more. Toggle between visualizations. Customize data fields, date ranges, and filters to get precise data views. Export reports or schedule data distribution to share insights with the team. 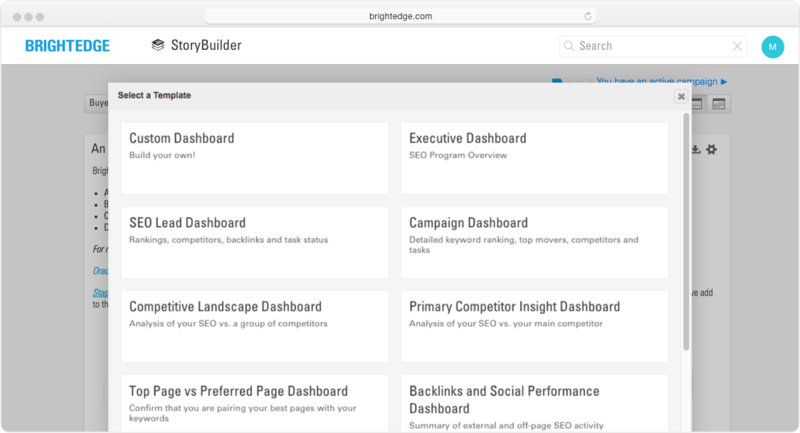 Ready to learn more about StoryBuilder and the rest of the BrightEdge platform? StoryBuilder enables quick decisions and actions. Pull web analytics data into dashboards to understand how content investments drive website traffic, conversions, and revenue. Inspect charts and tables further by directly clicking to detailed Page Reporting, Keyword Reporting, Share of Voice, and other reports. SERP layouts continuously evolve. Intent Signal identifies the content most likely to rank above the fold, which will help you grow website traffic.